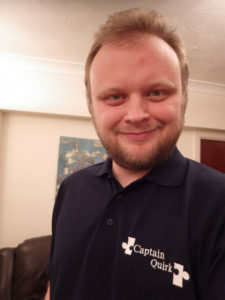 This week I am delighted to introduce you to Chris Bonnello who writes a fabulous blog about autism called Autistic not Weird. Chris is an ex mainstream teacher, writer, trainer and all round autism advocate. I’ve followed Chris for a while and find his insight and posts very helpful and have shared a number of them on my facebook page. He’s one of the few online bloggers who writes posts specifically for teenagers (he does also write for parents and teachers too). He’s written some great common sense no-nonsense advice posts for autistic teens. I can’t recommend his work highly enough. I’m Chris Bonnello, former primary teacher with Asperger Syndrome and the writer behind Autistic Not Weird (http://autisticnotweird.com). When did you find out that you were autistic? Not until I was 25. Having grown up believing myself to be the weird kid (but not minding much because I knew I had strengths as well as oddities), I found myself as an adult trying to fit in with a world that had been designed with everyone else in mind. When things started to go wrong, my sister (also a teacher who had several Aspies in her classes) told me I probably had Asperger’s and it helped contextualise a lot of confusing things about my life up to that point. It also helped me get to know myself better. What things have helped you over the years? Two main things immediately stand out: knowing what my strengths are, and having opportunities to play to them. I could go on all day about this topic, because it’s vitally important for people who have been ‘encouraged’ to believe they’re not good at the things they’re ‘supposed’ to be good at. I remember one student I worked closely with, who had academic learning difficulties but was the most magnificent photographer I’ve ever met. Her self-perception took an enormous dive in mainstream school because the intelligence hierarchy was based on English and maths rather than creativity. She ended up being fine once she was outside of traditional schooling and given chances to play to her strengths. But some autistic people need help to even find what their strengths are, or why they should take priority over their weaknesses when the rest of the world seems to prioritise our ‘faults’. What things can parents do to support their autistic children? The number one piece of advice I have is seeing the child as a person rather than an extension of their autism – which I suspect most parents do already but it’s still the most important thing. My parents didn’t know I was autistic when I was a child – but if they did, I have faith that instead of thinking “Chris is our autistic son with autism and is autistic all over the place”, they’d have thought “Chris is our son. He’s also autistic, and this is how it impacts him.” That means knowing exactly what my autism is and how it affects me, but at the same time as recognising my own personal identity. I’m not suggesting at all that the autism should be seen as somehow ‘separate’ from the person – it’s blended irrevocably inside us and makes up who we are. But autism is a list of traits, and I am not. Besides that, pushing children outside of their comfort zones is essential. Yes, it involves bearing in mind anxiety levels and picking your battles and so on, but comfort zones don’t tend to expand unless you step out of them. For further reading, I wrote about a similar subject here (http://autisticnotweird.com/balance/), about how to get the balance right between helping an autistic person and making them independent. What advice would you give to a child/teen who has just found out that they are autistic? My immediate advice would be to tell them that autism isn’t “a bad thing”, even if people around them and internet memes try to tell them it is. And I’d be pretty forthright about it too – instead of saying “no really, it’s not that bad, honestly” (which most young people would interpret as a nice person trying to offer consolation), I’d be quite straightforward about how grateful I am to have the kind of brain that can perform incredible memory feats, and helps me come up with ideas that non-autistic people usually won’t. I’d relate autism to THEIR particular strengths too, and make it see how it’s helped them. I’d also make a point of giving the same advice my dad gave me when I told him about my Asperger’s- that autism or not, it’s our own decisions that make the biggest part of who we are, and whether we choose to learn from the things we don’t get right. 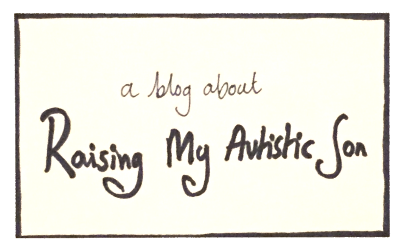 Incredibly enough, writing for Autistic Not Weird is actually my job now! Just over a year ago I discovered a website called Patreon which allows people to support writers/artists/musicians etc with monthly sponsorship in exchange for perks and rewards. (https://www.patreon.com/autisticnotweird) Half a year later I quit my stop-gap filing job and now I’m a writer by trade. Kind of mindblowing, really. I’m also a special needs tutor: I spend a few days per week working with autistic teenagers who are outside the education system, and have educational packages put together by a council organisation. Honestly, I think I’m more suited for delivering that kind of education than I ever was as a mainstream teacher. It’s fantastically personalised, and far less rigid. And there’s instant empathy between me and the students too- some of whom may never have seen an autistic adult before, let alone been taught by one. Once I left teaching, I thought back to my year working in special ed, and the role model I was able to be to teenagers with autism/Aspeger’s. And it hit me how much I missed the opportunity to build people up (I was a year away from starting special needs tutoring at the time). Then I realised how much good I WASN’T doing by keeping my Asperger’s to myself, so I decided to tell the internet in the hope that my experiences/insight would help people. I’ve heard it said that a teacher’s ultimate aim is to make themselves redundant- as in, teach so well that there’s nothing left for the students to learn. In an obscure way, I hope something similar for my autism advocacy- that one day, advocates like me won’t be needed in the same way (well, at least not as much), because the world will have become autism aware and accepting of autistic people. Once we’ve achieved that, I suppose I’ll have to start a new career and become a bestselling fiction author. If you want to find out more about Chris or support his work here are all his contact details! Great interview. Chris has so much useful advice to offer everyone, love his work!